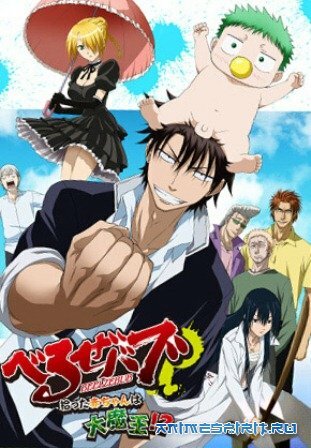 Beelzebub: Hirotta Akachan wa Daimaou!?. The protagonist, a terrible and powerful bully by the name of God, one sees a man drowning in the river, and, without thinking twice, rescues him. But then a strange thing happens: the man splits in half, and inside it is a child. Og, infinitely good, though stern in appearance, of course, takes the child with her. Later it turns out that the boy - a product of the devil. And Og now, anyway, his adoptive father and is obliged to protect and properly educate. Helps him in this wondrous beauty. Wednesday, April 15th, 2015 at 10:37 pm	and is filed under About Anime.